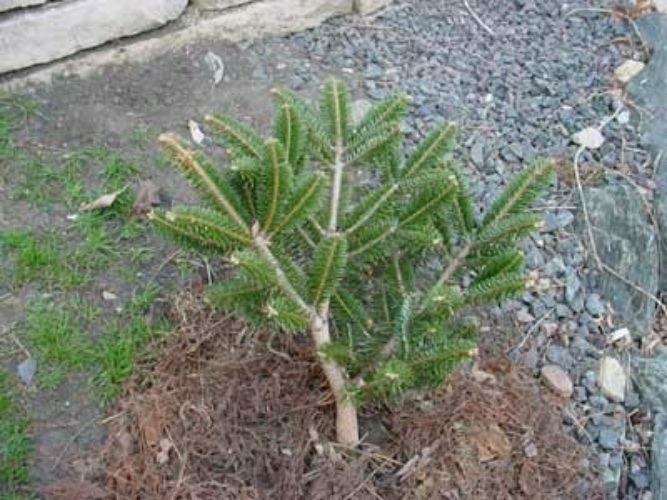 Abies fargesii 'Headfort' is a dwarf variety of Farges fir. Leaves dark green and perpendicular from the stem. Plant is a dwarf v-shaped shrub, purple stamens and bright brown stems. This cultivar was found before 1964 at Headfort County, Meath, Ireland. 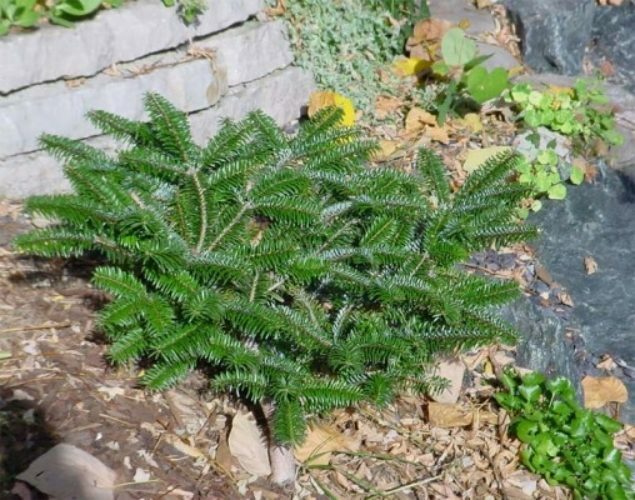 Abies fargesii 'Headfort' -- one year in garden, planted in semi shade on hill. Has survived a cold hard Chicago zone 5 winter. Abies fargesii 'Headfort' the same plant a few years later showing nice development.